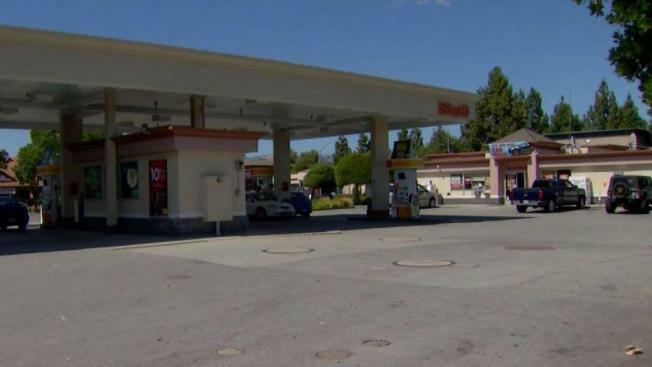 A female gas station employee in Morgan Hill fought off a man who dragged her toward a storage room and tried to sexually assault her Saturday morning, according to police. Marianne Favro reports. A female gas station employee in Morgan Hill fought off a man who dragged her toward a storage room and tried to sexually assault her Saturday morning, according to police. The violent altercation was reported around 6:30 a.m. at the Shell Gas Station located at 810 East Dunne Ave., according to police. Despite being grabbed around the arms and pulled in the direction of the storage area, the woman punched the man in the face before be fled the scene. The woman told police that the man entered the gas station lobby, began acting nervous and started asking for free stuff, according to police. When the woman asked him to leave, he attacked her. A shot to the face eventually caused the man to leave the gas station on foot through the nearby Home Depot parking lot, according to police. The suspect is described as being 25 to 35 years in age, approximately 5 feet 10 inches to 6 feet 1 inches tall and around 170 to 185 pounds, according to police. He was last seen wearing a black, zipped-up hooded jacket, blue-colored under shirt and dark blue jeans. He is also believed to have a tattoo under his left eye, a tattoo on the front of his neck and a tattoo of brass knuckles on his left hand. News of the attack left one Morgan Hill resident in a state of worry. "I'm definitely concerned," John Covas said. "I have a family here. I have three child so yes this definitely concerns us as far as this area. I hope they get him soon." Anyone with information regarding the incident is asked to contact Detective Del Moral at 669-253-4964. Those wishing to remain anonymous can also leave a tip at 408-947-7867.